By Dan Ambrose: After agreeing to sign up for random VADA testing for drugs, former two division world champion Saul Canelo Alvarez has been reinstated to No.1 in the World Boxing Council’s rankings at middleweight. The WBC mandatory for WBC 160lb champion Gennady ‘GGG’ Golovkin is interim WBC middleweight champion Jermall Charlo, however. Canelo doesn’t need be the mandatory to get a title shot, since Golovkin (38-0-1, 34 KOs) is more than willing to give the 27-year-old another title shot, provided that he gives him a 55-45 split of the revenue for the fight. The two fought each other last September on HBO PPV, and it brought in 1.3 million buys. The WBC president Mauricio Sulaiman said recently that Gennady Golovkin needs to do whatever he can to try and make the Canelo rematch happen, because if he doesn’t do that, he plans on ordering him to defend against his WBC mandatory Jermall Charlo (27-0, 21 KOs). Some boxing fans feel that the WBC is using Charlo’s name as a way to manipulate Golovkin to take the fight with Canelo, and they feel that the Mexican fighter is being helped by the sanctioning body. Golovkin wants the fight with Canelo, but not if it means he’s going to be required to agree to a purse split that he fees is unfair. Golovkin got a 30 percent split for his fight with Canelo last year. Golden Boy offered Golovkin a 35 percent split for the second fight with Canelo on May 5, which his promoter Tom Loeffler agreed to. However, the fight didn’t take place at Canelo tested positive twice for clenbuterol and was suspended. 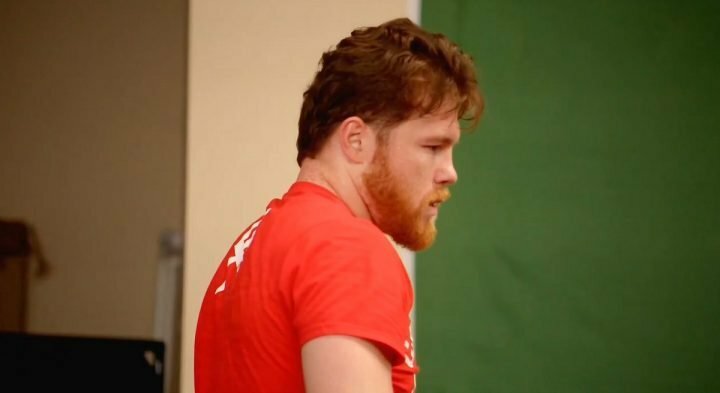 The WBC recently removed Canelo from their top 15 rankings after receiving a firestorm of criticism for keeping him ranked despite the fact that he wasn’t in a drug testing program after testing positive twice for clenbuterol. Canelo’s high rankings with the WBC for the middleweight division is somewhat controversial, as he’s only fought one legitimate middleweight during his pro career, and that was Golovkin. That fight ended in a controversial draw. Canelo’s previous fights in the 160lb weight class were his catch-weight fights against James Kirkland, Miguel Cotto and Amir Khan. Canelo never had to fight anyone good at middleweight to earn the No.1 ranking with the WBC, as his catch-weight fights were against non-middleweights. Cotto only moved up to middleweight in taking advantage of an old and gimpy-kneed Sergio Martinez, who was coming off of several knee surgeries on his right knee at the time they fought in June 2014.